Paul, Ludwig (ed.). 2017. Handbuch der Iranistik. Vol. 2. Wiesbaden: Reichert Verlag. 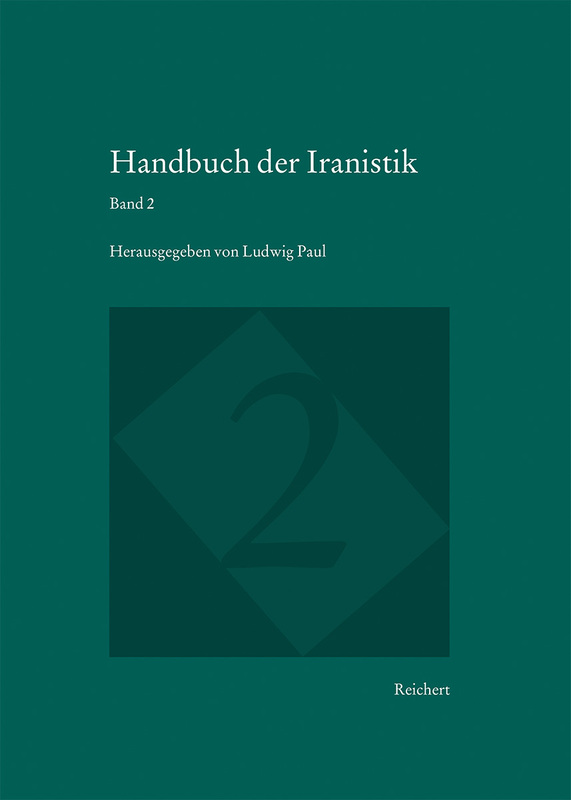 The second volume of the Handbook of Iranian Studies follows the concept of the first volume and develops it further. It follows the division of the first volume (for the first Volume see here) into eight discipline-defined sections and completes the research overview of the first volume in a comprehensive way with about 50 articles. Thus, in the second part, the few gaps of the first volume are closed in eight sections, and the “Iranian Philosophy and Sciences” are added in a ninth section. The view is also directed increasingly at the geographical periphery of the Iranian world. Several articles deal with the history, culture and present of Afghanistan, Tajikistan, Kurdistan and other regions. The second volume of the handbook of Iranian Studies, in addition to the first volume, also provides research reports. In the second volume, specialized research reports on certain areas are added in the second volume, such as “Persian Literature”: Contributions to Iranian exile and travel literature, current innovative topics such as gender, bio-ethics, the Internet and new media. You can see the table of the contents of this volume here. Chaman Ara, Behrooz. The Kurdish Šāhnāma and Its Literary and Religious Implications. CreateSpace Independent Publishing Platform, 2015. The Kurdish Shanama and its Literary and Religious Implications, as the result of a long-time fieldwork in the cultural spans of Zagros, focuses on the newly survived epic-heroic narratives known as Razm-nama, Jang-nama or Shanama. In this work, author draws attention to the existence of an unexpectedly rich epic-heroic tradition in literary Gurani (a composite idiom used in the Zagros regions) and strongly suggest that this tradition is largely independent of the Ferdowsi’s Shahnama but has many common features with other works of the Sistani cycle of epics and the Persian Naqqali tradition. This work addresses the structural and contextual similarities and differences between this tradition and its counterparts in Persian literature, and subsequently proposes a new understanding of the term Shahnama and the term Xwadaynamag. In this work, Chaman Ara, challenges the common understandings of the concept of Gurani, and presents analysis and descriptions of some linguistic features of the theory of Gurani literary language. See here for the ToC and the Preface to this volume. Behrooz Chaman Ara received his PhD in 2014 from the Institute of Iranian Studies of the Georg-August University of Göttingen. His research focuses on the Kurdish languages, literature and cultures. Potts, Daniel. 2014. Guriania, Γουράνιοι and the Gūrān. In Salvatore Gaspa, Alessandro Greco, Daniele Morandi Bonacossi, Simonetta Ponchia & Robert Rollinger (eds. ), From source to history: Studies on the Ancient Near Eastern worlds and beyond dedicated to Giovanni Battista Lanfranchi on the occasion of his 65th birthday on June 23, 2014 (Alter Orient und Altes Testament 412), 561–571. Münster: Ugarit-Verlag. Jügel, Thomas. 2014. On the linguistic history of Kurdish. Kurdish Studies 2(2). 123–142. Historical linguistic sources of Kurdish date back just a few hundred years, thus it is not possible to track the profound grammatical changes of Western Iranian languages in Kurdish. Through a comparison with attested languages of the Middle Iranian period, this paper provides a hypothetical chronology of grammatical changes. It allows us to tentatively localise the approximate time when modern varieties separated with regard to the respective grammatical change. In order to represent the types of linguistic relationship involved, distinct models of language contact and language continua are set up.